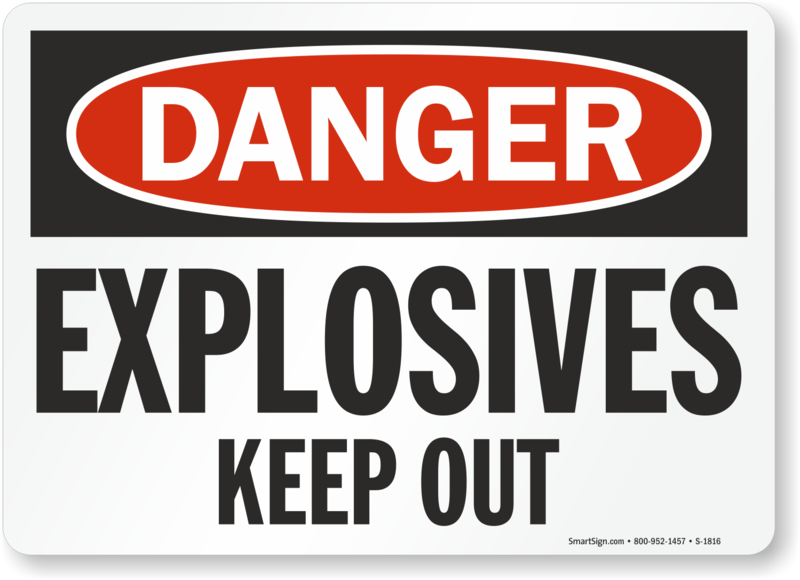 Explosives should be marked by proper warning labels to ensure thorough safety. 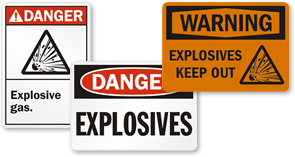 Our wide selection of explosive material labels communicate the hazard associated with an explosive substance so that untrained personnel can stay out of harm’s way. 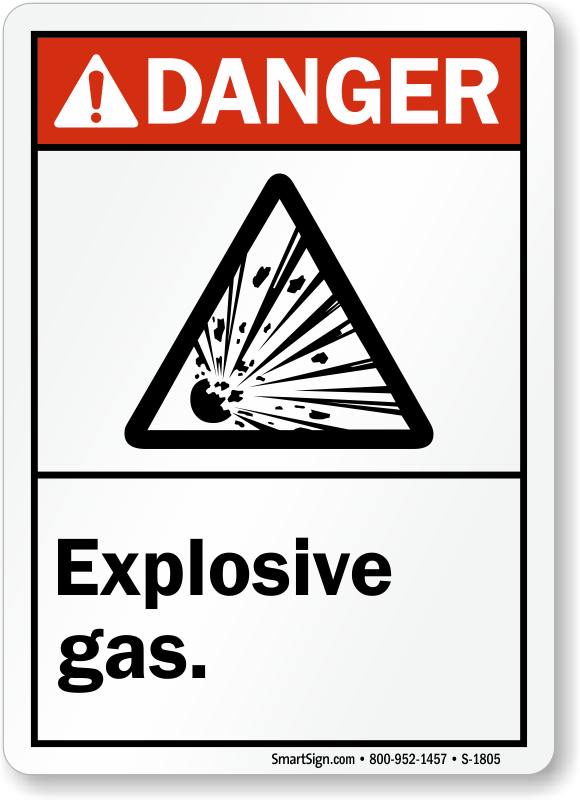 Labels effectively convey a prohibitory action like smoking or possessing matches, open light or other fire or flames as they can become a source of ignition. 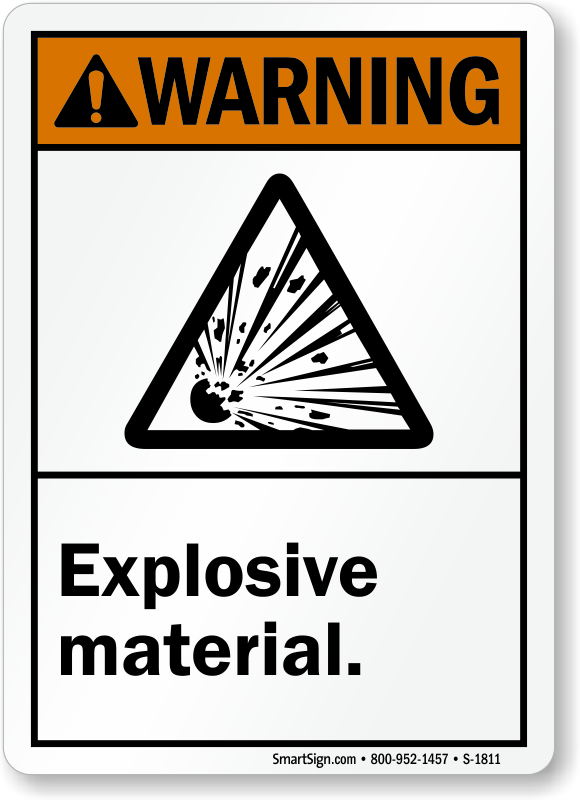 Browse through Explosive Material Labels in our gallery and take your pick! 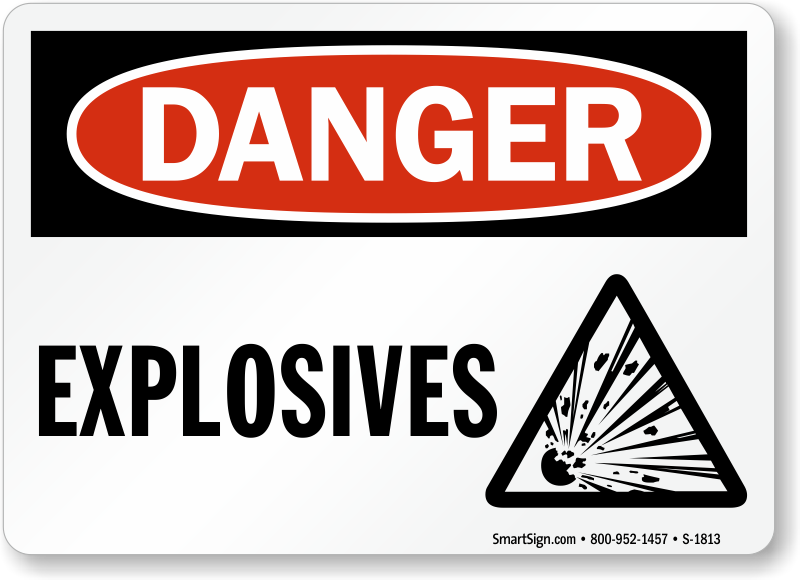 • Backed by premium adhesives, our labels stick to almost all surfaces instantly. Flexible labels can be adhered easily to curved surfaces. 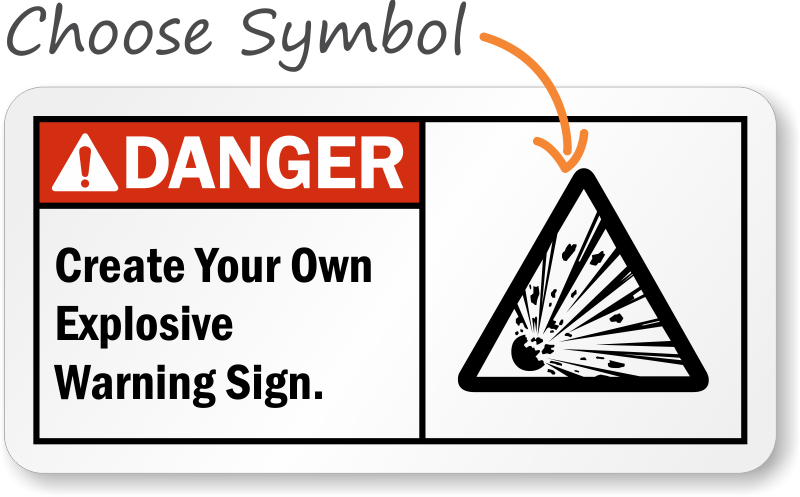 • Most labels feature the international ‘explosive hazard’ symbol which makes recognition even easier. 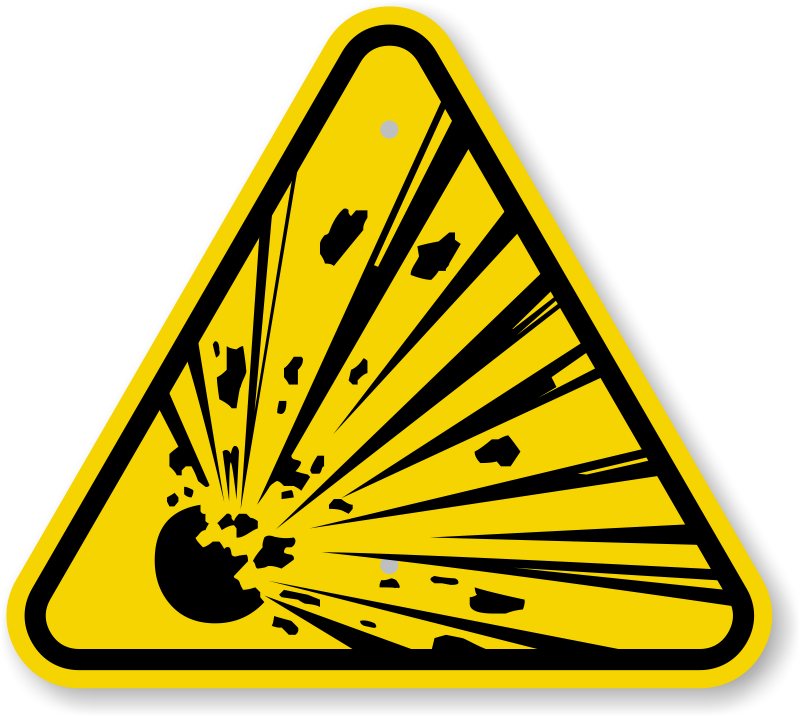 • ANSI and OSHA regulated designs dominate our gallery as these designs are readily understood by workers. 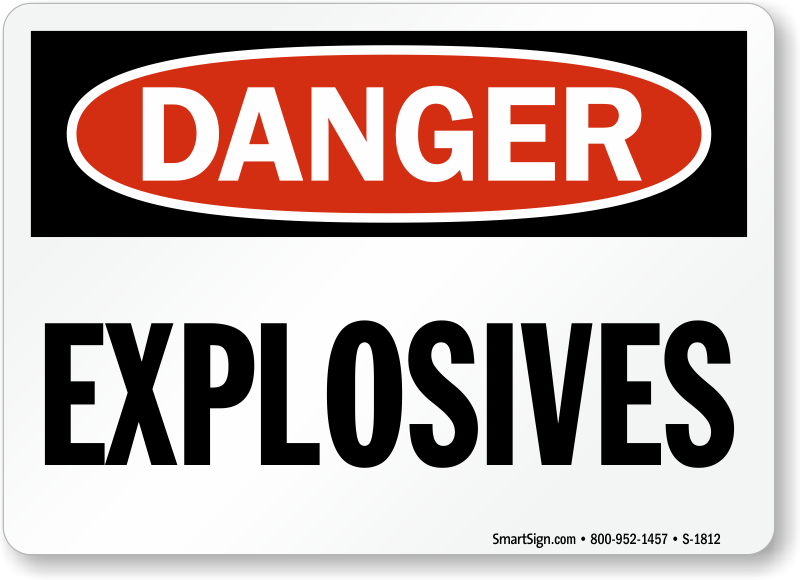 • Looking for labels that can be spotted at night? 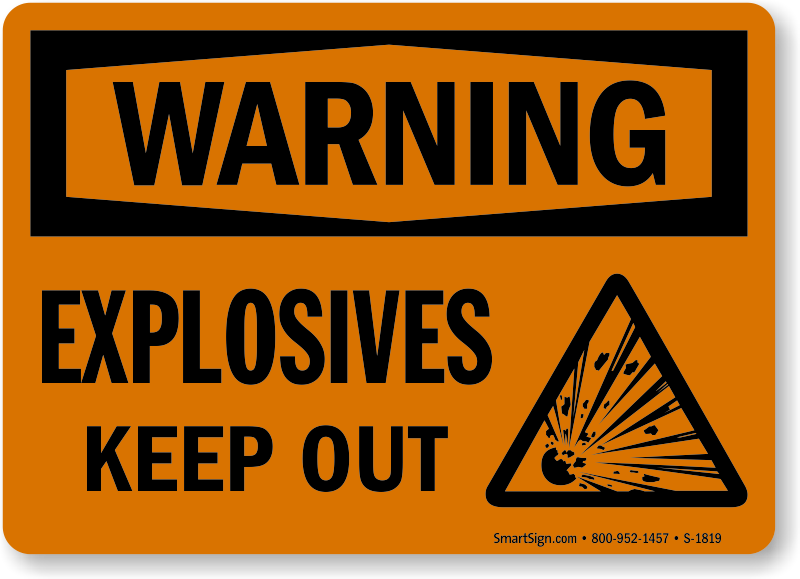 We have glow signs for you that use photoluminescent material that are easily visible even when it is pitch dark around. 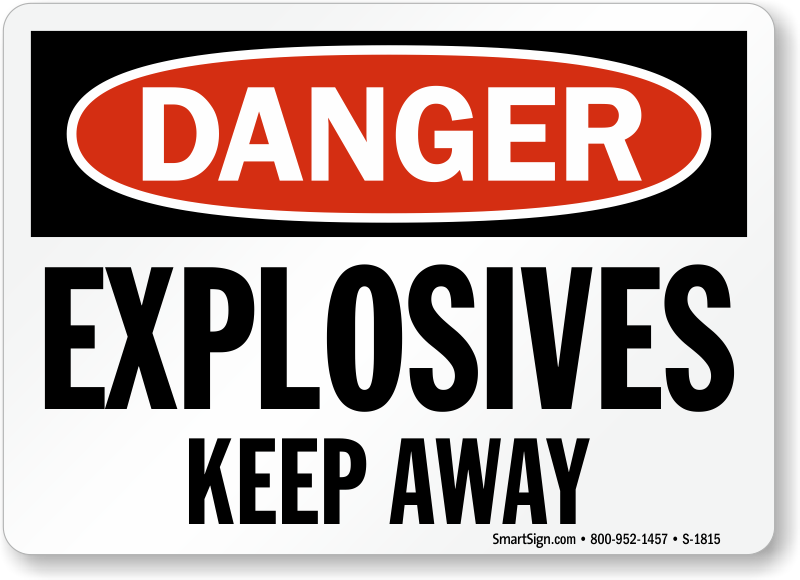 As Low As 5¢ per Label!